Australia certainly is the lucky country, but ironically the incredible weather we are blessed with can also be a curse. With scorching temperatures reached in summer, we’ve compiled a handy list of hacks and tips to help you beat the heat. Sunlight coming into the home through windows is one of the biggest culprits for heating the house. Thirty precent of household heat actually comes through windows. To help combat this, keep blinds closed, or even invest in blackout curtains. This can lower temperatures by up to 20 degrees. Light coloured blinds reflect the sun and add an additional element of protection from sunrays. East-west windows are most important as they receive the full effect of the sun in mornings and afternoons respectively. External window coverings such as awnings, roller shutters or shade sails will also help stop direct sunlight from getting in the windows. Utilising internal doors can be extremely beneficial. Closing off unused rooms during the day will mean you have a smaller space to keep cool. Open the doors and windows to let air flow naturally during cooler nights or when cool weather changes occur. Celling insulation and draft proofing can help eliminate extra heat in your home. A lack of insulation or gaps can allow heat to seep in to the home from the roof. Window and door cavities, skirting boards and wall vents should be inspected and properly insulated to ensure proper sealing. Fans are a great alternative to air-conditioning as they use 1/25th to 1/50th of the energy of an air-conditioner. Remember to set fans to spin counter clockwise in summer as this will generate a chill effect. For extra cooling, combine fans with a water spray bottle or sit ice in front of the breeze to cool the fan-made wind. Window types can also offer respite from the heat. Utilising louvre and awning windows, available from both Canterbury Timber and Southern Star Aluminium, can assist air-conditioning, fans and evaporative cooling while providing cross ventilation. Consider swapping your sheets and bedding for summer alternatives. A lighter more breathable material like cotton will be far more comfortable on hot nights than flannel. There are many things you can do to your home, but it’s important to look after yourself too. Remember to wear appropriate clothing and keep hydrated to help keep your own body cool. Replace incandescent light bulbs. Ninety per cent of their energy is wasted in the heat they emit. Energy saving alternatives like LED are superior and will save you money on your bills. Less oven, more barbecue – yes there is actually scientific reasoning for using your barbecue in summer! The oven generates and emanates large amounts of heat that disperse throughout the house. Cooking with the barbecue outdoors ensures the heat never enters the home. Speaking of the kitchen, exhaust fans pull hot air out of the house. It’s a great idea to turn on the exhaust fans in your kitchen and bathrooms. Air conditioning is one of the best ways to cool the house in summer. To maximise its effectiveness and efficiency it is important to perform air conditioning maintenance and cleaning, including the filter, unit and any obstructions. We can cater a Southern Star Aluminium and Canterbury Timber Windows and Doors solution to your cooling needs. From window choice to glazing option, we have a wide variety of choices that will help your home be more efficient and temperature friendly. Visit www.windowsanddoors.build for more information. 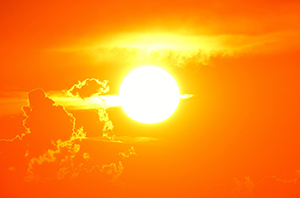 Follow these tips and you’ll be on your way to keeping cool and beating the heat this summer.